I cannot imagine life without knitting. Making things with needles and yarn is the very stuff of life... sound mad? Probably, but it feels good. 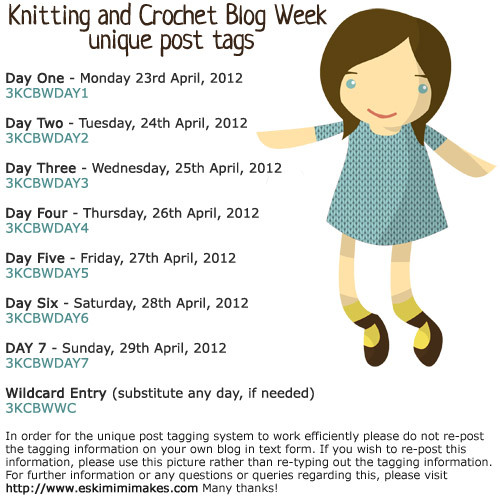 It's day three of Knitting and Crochet Blog week. Have you been enjoying all the different posts? I have. If you want to search to see what others are writing each day on their blogs, today's search code is 3KCBWDAY3. For other days, see the search codes listed at the bottom of my post. Obviously, there are the designers. Take Lily Kate France. She's a whizz. Talented knitter. Fabulous, inspiring designs. And, I'm sure she's sick of hearing it... but she's 14 years old. To me she represents the exciting future of knitting. Knitting is okay again. It's not just the domain of elderly ladies and mums-to-be. Young, vibrant designers are creating beautiful patterns for young, vibrant knitters. And, Finnish designer Veera Välimäki. I've mentioned her before. 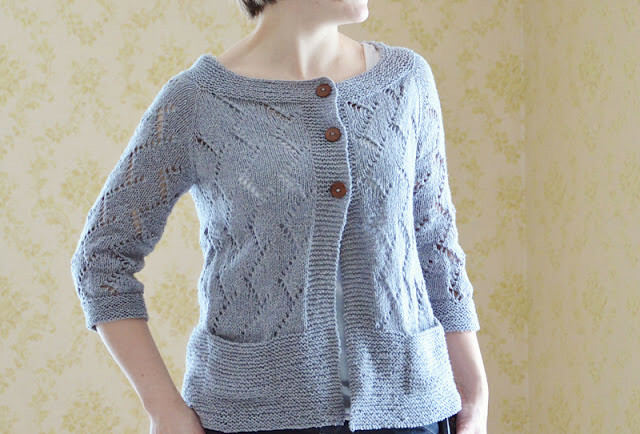 Veera's patterns are interesting in their construction and very stylish. Knitwear is for wearing again! Beautiful handmade garments are desirable. Even better, we can make them ourselves. Of course there are others. Designers I avidly follow, waiting for their next fabulous creation. Patterns I'm itching to knit and techniques I'd love to try. There's Ysolda (of course! ), Gudrun Johnston, Jane Richmond, Thea Coleman and Hannah Fettig, to name just a few. 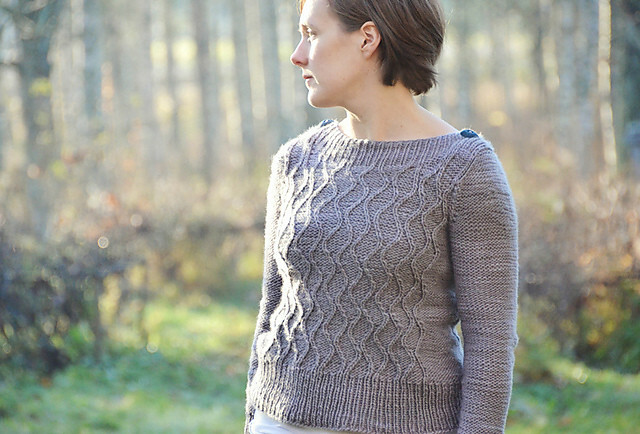 But for me, Lily Kate and Veera represent just what I love about knitting in 2012. Knitting is fresh, exciting and very much alive! Then, there are the writers. Interesting, captivating and fascinating, they write about the ins and outs of technique interspersed with knitterly tales. Can you believe it!!! Neither could I. I was especially excited when I found out about knitting podcasters. Yip, you read me right. Podcasters. You too can listen to knitting talk. My favourites are Nevernotknitting, IMake and The Electric Sheep by Hoxton Handmade. But, have a look around for yourself, there are gazillions! At this point I should probably backtrack and mention that the knitting festival Knit Nation changed my life. No, it really did! I first went in 2010 and it was AMAZING! I was completely blown away by the numbers of people, the range of yarn, everything. Here was a huge hall of "normal" looking people obsessed with yarn and sticks. They were just like me. I couldn't believe it. You see, I've always knitted. I tinkered around as a kid making up stitches and combining colours. I've made my fair share of ridiculously long scarves and boxy jumpers. For the last ten years I've done a ton of knitting. Mostly for my kids. Mostly from old patterns and New Zealand yarn. But, prior to that fateful day in 2010 when I was lucky enough to spend the day at Knit Nation, my fourth baby in a sling, I knew only a few knitters. 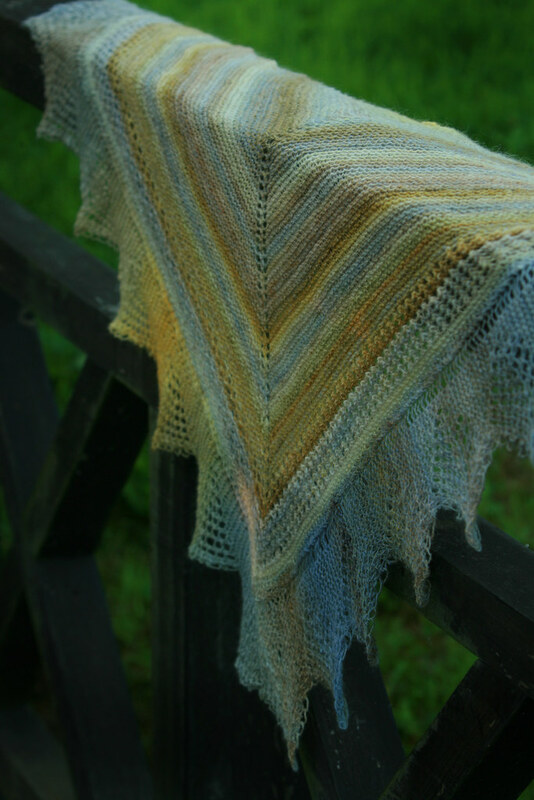 I had just found out about Ravelry, only a week or so before, but was bamboozled and hadn't had a proper look. I'd never heard of independent designers or indie dyers. I nearly died with excitement. And, when I got home, I announced to Mr Myrtle that there would be no more babies. I had too much knitting to do. "I should have sent you years ago" Mr Myrtle laughed. And then I learned of Elizabeth Zimmerman, Barbara Walker, Maggie Righetti... giants of the knitting world. Where had I been?! Never mind. I was here now. Elizabeth Zimmerman in particular really strikes a chord with me. Her books of "patterns" read like stories and I frequently find myself laughing out loud. You can't help but feel good when you find out that someone else knits on car journeys and grabs a few rows while waiting for the dinner to cook. I thoroughly recommend finding her books if you haven't already. 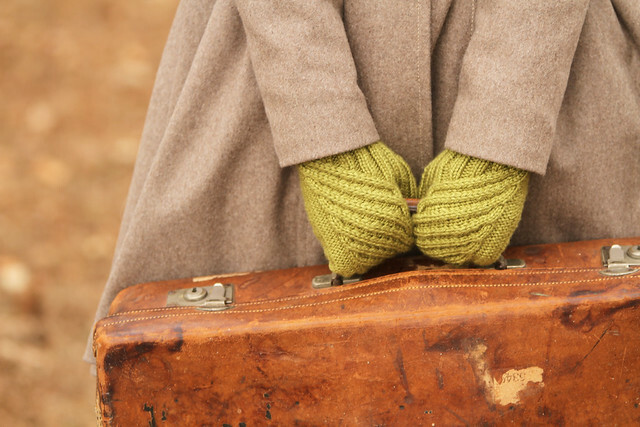 My Grandmother and my mum were the first, and, for a long time, the only knitters in my life. My first heroes. My grandmother taught me to knit and my mum has a yarn and pattern collection that is worthy of a museum. You'll find her every evening with knitting in her hands. And, weekend mornings where will she be? Propped up in bed, tea and toast, listening to the radio.... knitting. These days I am lucky to have found many more knitting heroes. Everyday knitters just like me, chat on Ravelry 24/7, about knitting, the ins and outs of stitches, techniques, patterns and accessories. We oooh and ahhh over beautiful yarn and lovely needles. We admire each other's projects. These are my everyday knitting heroes, from all over the globe... and, I love it! So, if you're after some knitting heroes of your own and you haven't joined Ravelry, go, do it now, it’s free! And, if making things with yarn and needles makes you feel good, alive even, then you are my Hero!